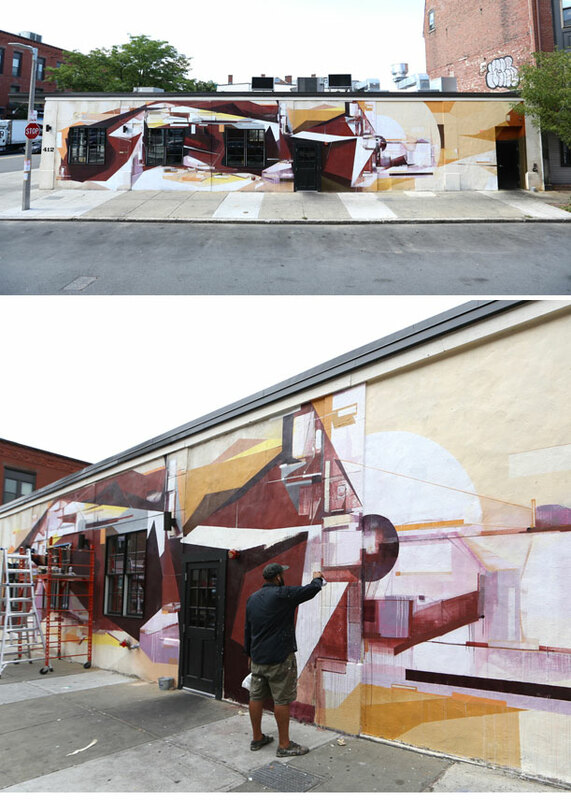 Untitled Mural intervention for LOCO Taqueria & Oyster Bar, South Boston. Commissioned by owner Mike Shaw. Documented and organized by Todd Mazer. I made a returns to Boston in mid August, 2016 to paint a commissioned mural for LOCO Taqueria & Oyster Bar in South Boston. Brought a bit of LA with me on this one as well as washed South of the boarder tones crystalizing through Bostonian brick masonry. Navigation, project organizer and primary documentation via Todd Mazer. Many thanks to Mike Shaw for the opportunity and to all the incredible folks at LOCO for the challenge, hydration and tacos.